Where can you stream Colony? On 2016-01-14 Science Fiction/Drama TV Series Colony first aired on USA Network. 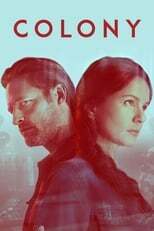 Written and created by Carlton Cuse & Ryan Condal, and produced by Legendary Television & Universal Cable Productions, Colony has ended and last broadcasted on 2018-07-25.